Little Rock New York City passed a first-of-its-kind, one and only ordinance last year in an effort to help fast food workers in the city who have been trying to organize under various banners since the Fight for $15 campaign began. The ordinance required employers – in this case, fast food companies – to allow payroll deductions to be processed for membership dues payments to a nonprofit that was not a union or engaged in collective bargaining but was advocating for workers rights. 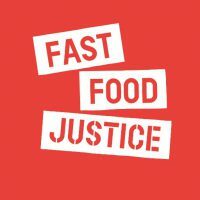 Fast Food Justice, a nonprofit in New York City meeting those requirements has succeeded in getting 1200 fast food workers to sign such pledges in order to trigger the requirement. These workers have agreed to pay monthly dues to the organization of $13.50 per month. Reportedly, the effort was supported by the Service Employees International Union, which has been the organizer and paymaster of such campaigns for almost all of these efforts in recent years. Leaders of Fast Food Justice who did the work are of course happy and wild, enthusiastic congratulations to all of them for doing the work and getting the job done. The National Restaurant Association says that it will sue and that the ordinance discriminates against fast food employers, so this may be delayed in court or thrown out completely. The New York Times quoted someone from the National Employment Law Project saying that this accomplishment was important as a step forward towards “sustainability.” Professor Janice Fine, a respected labor scholar, colleague, and friend, said it was “proof of concept,” and that is certainly true, given that the barrier was set high under the ordinance and many believed it would not be achieved, so she’s right as rain on that. Janice was also quoted further saying, “When I speak to people in other cities, they get really interested. They can imagine a law like this one where they are.” Frankly, while we applaud the success of Fast Food Justice in New York City, Janice and any others asked need to advise organizers to go another direction. Why should Janice and I say this? Let me list the reasons. It is almost the identical amount of work, perhaps a little more, to get workers to sign dues authorizations to their credit/debit cards or banking accounts. Direct payment from the workers entails no bars on the type of activity the workers can pursue both on and off the job, both as a workers’ organization or for that matter as a union. There is no legal question or any governmental authority that can challenge direct payment and dues deductions from workers to an organization, since this is constitutionally protected and personal. All forms of employer dues deductions are under attack so whenever we can take the employer out of the equation when a worker decides to join and support an organization – or union – that’s a better course. So, congratulations Fast Food Justice, and good luck bringing justice to fast food workers, but for those organizations trying to sustain such work, go a better route by directly enrolling workers and facilitating their dues payments through their personal financial tools. This entry was posted in Labor Organizing, Organizing and tagged dues checkoff, Fast Food Justice, fast food workers, Fight for $15, New York City, SEIU by Wade. Bookmark the permalink.